Ashley Finance is an independent finance company that primarily works with small businesses in the UK. They provide a variety of solutions that cover Invoice Financing and Business Loans. Founded in 1993, Ashley Finance has 25 years of experience partnering with SMEs from different backgrounds and industries. They’re a proud member of the National Association of Commercial Finance Brokers (NACFB), and are certified to provide you with expert advice. In 2016, their net worth was recorded at £4.2 million, with total current assets worth £11.8 million. So, let’s dive into our review of Ashley Finance. Should You Use Ashley Finance? If you’re looking for a company that specialises in financing SMEs, chances are you’ve come across Ashley Finance. They advertise themselves as a ‘Friend of the SME’, and have proven to be exactly that by reporting a 91% approval rate on funding requests. Their head office is located in Manchester, but you can easily get in touch with them through telephone, email, or by requesting a callback. At the moment, they only serve businesses located in England and Wales (also Scotland in some cases), with a network of accessible local experts. Ashley Finance is not a subsidiary of a larger financial institution, and its independence gives it freedom from the typical bureaucracy and administrative inefficiencies associated with banks. Due to its focus on small businesses, Ashley Finance is able to be more forgiving with circumstances such as weak credit scores and small turnovers. Their low requirements make them a viable choice for many small businesses that are struggling to secure funding from other sources. Ashley Finance sets fixed and transparent lending costs. Multiple case studies mention that Ashley Finance have consistently been upfront about fees, which were all straightforward and simple. Since contracts are tailored to the needs of your business, associated costs and fees will vary depending on factors such as funding required, annual turnover, and your business status. Ashley Finance offers a range of funding solutions for small businesses, which differ based on your business type and funding needs. Each package is tailored to fit the needs of businesses in different situations, which gives you a variety of options when it comes to choosing the right solution. Ashley Finance Invoice Finance reduces your cash flow issues, by allowing you to have access to funds owed at a later date. They purchase your invoices, give you a cash advance up to to 90% invoice value (including VAT), and proceed to collect payments from your clients. You can access funding lines up to £500,000, and receive consistent support from a Client Manager as well as dedicated Credit Controller to collect your invoices. What’s more, Ashley Finance is open to funding businesses with adverse credit history or small turnovers. In fact, they set a maximum limit of £500,000 on annual turnovers, to prioritise that they only work with small businesses. Ashley Finance also gives you 24/7 access to their online system to manage your accounts, statements, and funding needs. They also offer Confidential Invoice Finance, as well as CHOCS (Client Handles Own Collection Services). This flexibility is an advantage for small businesses, who are able to choose whether they want Ashley Finance to handle their collections, or if they want to do it themselves. 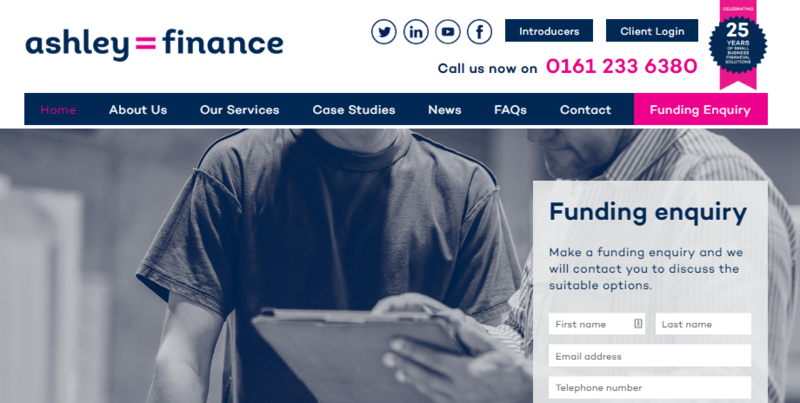 Find out more about Ashley Finance Invoice Finance solutions here. Ashley Finance offers a short-term finance option for businesses with a one-off large invoice of up to £100,000, and no contractual obligations. Their Single Invoice Finance solution is similar to Ashley Invoice Finance, except that only one invoice can be financed, and there is no long-term contract that ties you down. You can use Ashley Single Invoice Financing whenever you need it. Most Invoice Financing companies don’t offer Single Invoice Finance, because it’s not as profitable for them to finance and deduct fees from just one invoice. They also prefer to enter a long-term contract with you, and will charge you a monthly minimum usage fee if you don’t use their Invoice Financing facilities to a certain level. Ashley Finance does not require you to enter a long-term contract, or charge you any minimum fees. Find out more about their Single Invoice Finance solution here. You can receive up to £150,000, and a credit term of 6 months to 12 months. There are no upfront or early repayment fees, as Ashley Finance only asks that you pay them back in fixed weekly direct debits. These are agreed upon at the beginning of your loan term, and won’t change throughout your loan period. Due to Ashley Finance being an independent company with no ties to any banks, you can receive loans at a much faster rate and experience less bureaucratic procedures. In fact, Ashley Finance approves 90% of loans. 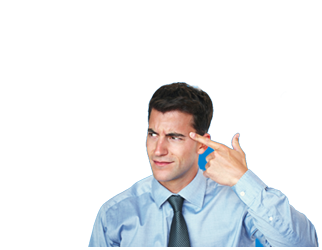 Their business loans have the option for you to easily obtain additional funding on your loan. All you need to do is contact a representative, who will ensure that the entire process is quick and hassle-free. Find out more about Ashley Finance Business Loans here. Loan terms range from 1 month to 18 months, with rates starting at 0.95%. You’ll be dealing directly with Ashley Finance, who work independently from financial institutions, and can tailor a bridging loan to match your needs. Find out more Ashley Bridging Finance here. Supplier Finance, also known as Purchase Order Finance, allows your business to fulfil large customer orders even when you don’t have the funds to pay your supplier right away. Ashley Finance pays your supplier, and it’s then your responsibility to repay Ashley at a later, agreed-upon date. This is a game-changer if you are a fast-growing business with many orders to fill, but aren’t quite at the capacity to do so. You’ll be able to meet all of your customer demands, and pay your supplier on time. Supplier Finance can also be an add-on to your Invoice Financing solution, which creates another line of funding for your business. Find out more about Supplier Finance here. Factor Plus allows you to receive a cash loan on your unpaid invoices, and then pay Ashley Finance over time through either an Invoice Financing facility or direct debit payments. It differs from typical Invoice Financing in that you receive 100% of your unpaid invoice value upfront. However, it is your responsibility to repay this loan, plus any associated fees. You also gain access to a dedicated Client Manager and Credit Controller, who can assist you with your repayments. If you don’t the funds ready, then it will just be deducted from your funding, saving you the hassle. Factor Plus is suitable for businesses in the B2B sector, from any industry, as long as you are based in England or Wales. Find out more about Factor Plus here. Asset Finance grants you the ability to lease or purchase equipment for your business, even if you don’t have the necessary funds. Repayments are completed via a fixed monthly direct debit, which make them incredibly easy to keep track. What’s more is that Asset Finance terms are extremely flexible, ranging from 12 months to 60 months depending on what best suits your business. Asset Finance will benefit you if your business has requirements for high-cost assets such as textile machines, vehicles, and bakery equipment. Ashley Finance only requires that your purchased/leased asset value is between £5,000 and £500,000, and your business located in England, Wales, or Scotland. Find out more about Asset FInance here. Ashley Finance is an independent company that is smaller than typical Invoice Finance providers, and thus can offer more personalised customer support. You can reach them by phoning during normal business hours, requesting a callback, or email. Alternatively, if your business is located in or around Manchester, you can visit their office at St. Peter’s Square. Although not all their solutions include a personal Client Manager, you can still access their dedicated support team with any complaints, and receive a reply within 1 working day. Ashley Finance offers both short and long term contracts depending on which of their solutions you choose. Their flexibility is ideal if you don’t want to be tied down to any long term obligations in case your business changes. They are extremely transparent with their fees, and don’t charge you any hidden fees such as early repayment. Ashley Finance has been operating for 25 years, and has collected an extensive portfolio of case studies with real UK businesses. Customers consistently reported their experience with Ashley Finance as being flexible, easy to use, and having clear, open communication. However, they have a 2.8-star rating on Google, with negative reviews mentioning bad experiences with Ashley’s Sales team and Customer Service. It’s important to note that this comes from only 6 online reviews, and just 3 of those being negative. Currently, there aren’t enough online reviews for any of these ratings to be completely reliable. You can read about Ashley Finance’s case studies here. Ashley Finance is long-serving provider of Invoice Finance for SMEs in the UK. It’s the only company to set a maximum limit on annual turnovers, and is comparably more small business-friendly than its competitors such as Calverton Finance, MarketInvoice, RBS, and Close Brothers. Ashley Finance can provide similar funding capabilities to its competitors, but differs in their contract flexibility and maximum annual turnover limit. It’s important to consider whether you prefer to work with a smaller, independent company like Ashley Finance, or if you’d rather work with a company the has the support of a large financial institution. Ashley Finance is best-suited for small businesses with poor credit, small turnovers, or simply those who want to work with an independent, SME-friendly company. They have an impressive history of successful working relationships with small UK businesses, and are able to tailor a solution to fit your needs. Plus, they’re not industry-specific and can offer you 25 years of expert advice that is relevant to your business type and financial situation. Be sure to check their requirements for each type of solution they offer, and confirm that you qualify for their services. Ashley Finance offers a wide array of solutions that are SME-friendly, and can be tailored to match your needs. They pride themselves in being more understanding of difficult circumstances surrounding small businesses that makes it hard to obtain funding from banks. Ashley Finance is an independent company, free from any bureaucratic management and administrative inefficiencies from working with large organizations. They are able to give you better support, and will work with your business to ensure that your funding needs are consistently met. Overall, Ashley Finance is a top provider for funding solutions that cover Invoice Financing and Business Loans. They are an excellent alternative for businesses who want a personal level of service, or would not usually meet the minimum requirements to qualify for a bank loan. If you’re interested in their solutions, be sure to get in touch or request a callback from them. You can find their contact information here. What is the Cost of Invoice Factoring? What Is Invoice Discounting? And Should You Use It?